If you want to attend both weeks, please register and pay for each week separately. Our Refund Policy: Notice of withdrawal must be received no later than two weeks prior to the first day of the class at La Foret's office. There is a $30 withdrawal fee per class. We do not pro-rate tuition. Failure to attend sessions or verbal notification to the instructor will not be regarded as an official notice of withdrawal. NO refund will be given to participants who elect to withdraw from a class once it has begun. Checks returned are not honored for any reason and will be subject to a $15 NSF charge and subject to prosecution to the fullest extent of the law. Transfers are limited to one per participant and a fee of $15 will be charged. No transfers after the first class. Publicity waiver: Unless informed otherwise in writing, La Foret considers photographs taken of students and their work to be permissible for publication in La Foret's informational publications, including our website and social media. 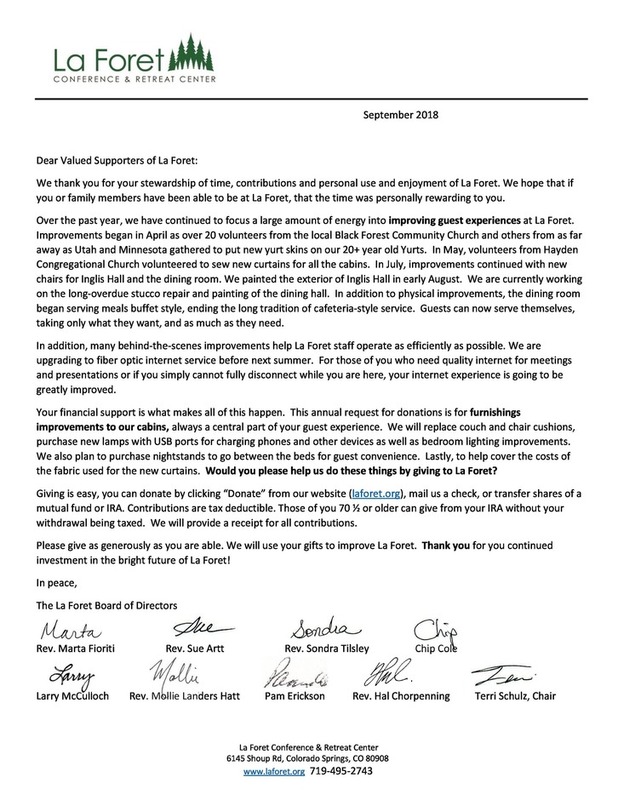 Note: Registration implies the responsible party has read and agrees to the La Foret General Policies in the Parent Handbook, the publicity waiver and the above WITHDRAWAL AND REFUND TERMS.